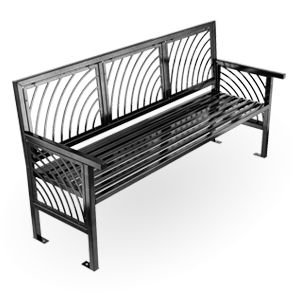 The JordanCreek JC1-1100 backless bench incorporates JordanCreek patterns in back panels and end units. 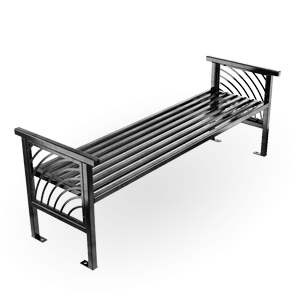 Benches are constructed of a square tubing frame work and seating surface. JordanCreek benches have a recycled material content of 84% of which 73% is post consumer content. This content may vary based on the product design, product material type, and interchangeable piece parts. All styles are 100% recyclable. For more information about SiteScapes sustainable products and policies, please refer to our Environmental Statement.